Research by Exeter University’s School of Psychology found that people working in enriched spaces (decorated with art or plants) were 17% more productive than those in lean spaces. That’s why we wanted a large painted wall art piece in the new Peak office. We wanted it to brighten up the space, and for it to carry real meaning and purpose in order to positively impact our employee productivity and creativity. 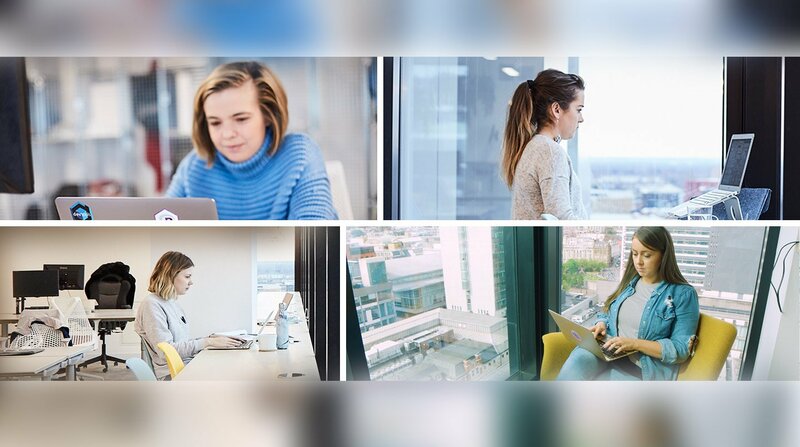 Research also shows that 54% of women and 47% of men acknowledge that art has a moderate to big effect on their creativity at the office, and 80% of women and 66% of men agreed that art in the office could reduce their stress-levels. So, when we moved into our new HQ, we reserved this space for the people at Peak. This was our way of doing something beautiful and inspiring for everyone. We found our perfect blank canvas; a 5m long white wall in an area of the office that we felt was the most in need of brightening up. 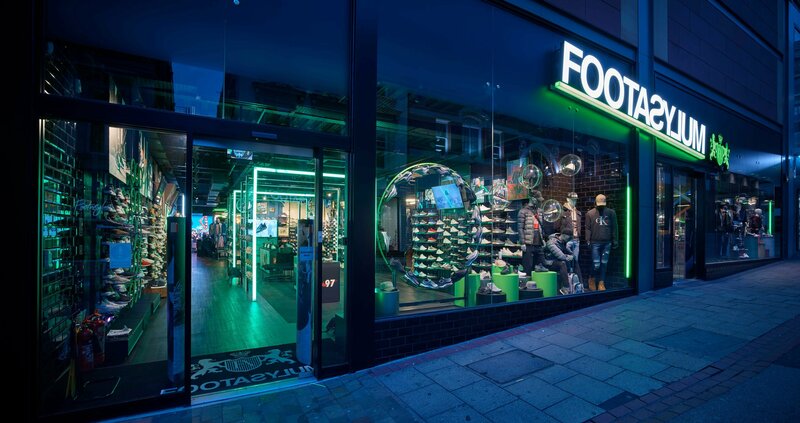 The purpose was to symbolise imagination and spark creativity whilst incorporating our brand values; Smart, Curious, Driven, Responsible, Open and Straightforward. After extensive research, we started to build a brief that worked for us all at Peak. We knew that it had to be a hand drawn and hand painted piece of art, rather than a branded typographic piece or digital vinyl print. The thinking behind that was that the team would find it much more meaningful and be more likely to become attached to it. 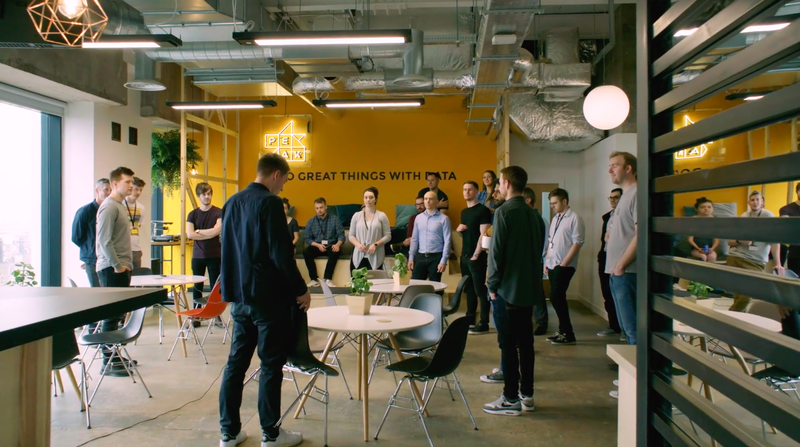 Whilst it’s useful to have your brand values up in big letters on the wall of your office, we wanted more than just that - something more subtle and smarter, too. We felt that it would be less likely to become dated over time than a typographic piece of work; it needed to grow with our team and not hold us back. Being hand painted, rather than vinyl, makes it that bit extra special too - it’s unique to Peak and exists only here. To help us create a brief and spark ideas around the piece, we looked closer to home and searched around the city of our headquarters, Manchester, for some inspiration. In Manchester, we’re very fortunate to have such a diverse range of art and symbolism spread across the entire city. Whether that’s in large scale wall graffiti, or within the numerous galleries in and amongst the Northern Quarter. Creative culture is thriving here, and we wanted our own piece the stood tall amongst the rest. That’s how we came to our main point of inspiration. 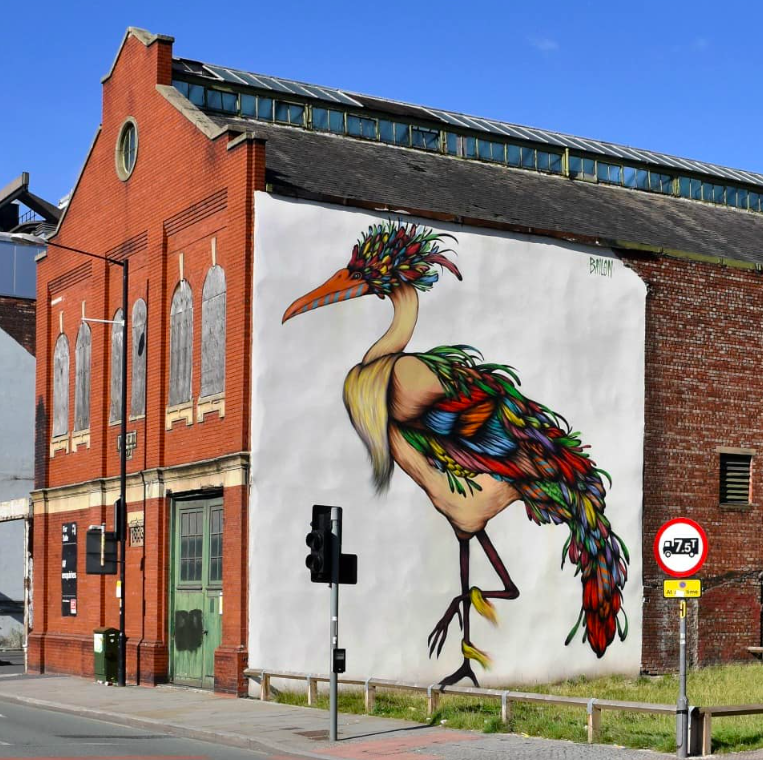 Everyone in the team was incredibly attached to 'Guardian of Ancoats’ by Mateus Bailon (pictured above), a highly-regarded graffiti artist who’s created wall art pieces of all sizes all over the world. Guardian of Ancoats was a striking symbol of the Ancoats area before it was unfortunately knocked down, and it was a large scale art piece we walked past and enjoyed every day, situated near our first office in the area. A couple of our team even collected chunks of the rubble once it was knocked down to remember it by. As it meant so much to us, we realised we could create a piece of a similar style with us to the new office and continue to celebrate it. The symbolism behind Bailon’s work is something we love. His work sparks imagination and a sense of freedom and independence - birds have the freedom to fly wherever they want and, much like this, we want to encourage our people to use initiative, be independent and push boundaries to go ‘above and beyond the norm’ at Peak. Bailon’s work is great example of how the imagery of animals can retain so much character and be fantastical in appearance, without feeling cartoon-like or lacking depth. We did explore other animals beyond birds though, especially around the theme of them being ‘smart’. And, in the animal kingdom, there’s plenty of those! So, we weren’t short of ideas. The animals we chose for the final list were an elephant, an octopus and the scarlet macaw. We started by researching which animal best matches our values closely - and we became quickly attached to the scarlet macaw. Not only is the scarlet macaw one of the most colourful animals out there, they possess some very interesting traits that we can relate to. 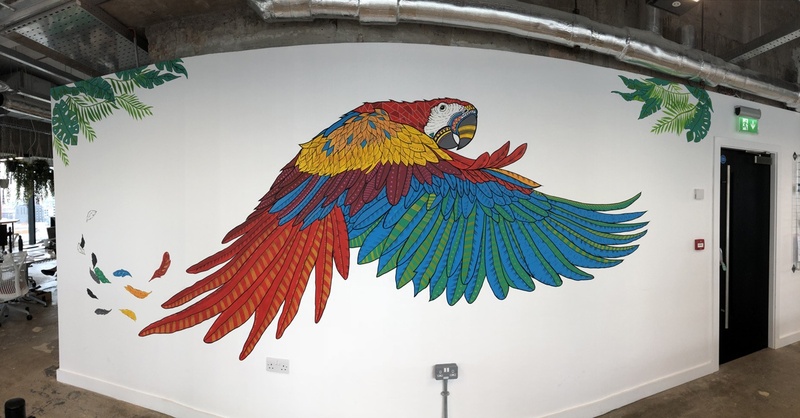 Most species are associated with forests, especially rainforests or woodlands, and that felt ideal considering all the hanging foliage and greenery in the office - the macaw would feel right at home here! Scarlet macaws are also highly committed birds, with individuals remaining with one partner throughout their lives. 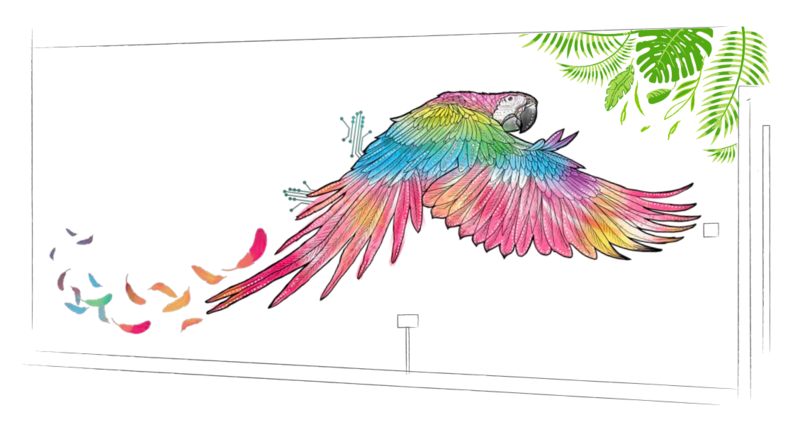 The majority of macaws are now endangered in the wild and a few are even extinct, so it felt more important to choose this animal for our artwork. We set up Peak to change industries - to move away from the traditional way of doing things in an IT/tech setting. 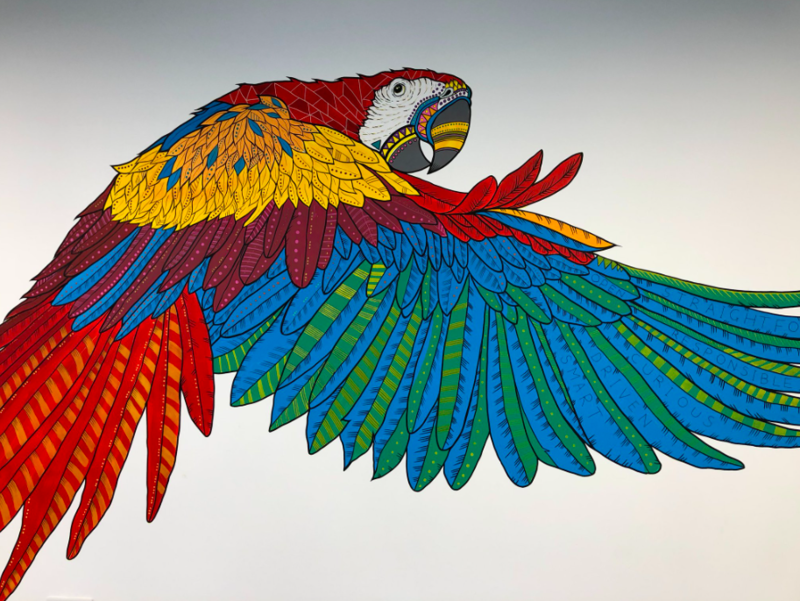 The macaw represents this characteristic, too, shedding its feathers as it flies forwards to reach new heights and do things in new and smarter ways, leaving the past behind. In summary, we’re all thrilled with how this piece has turned out. 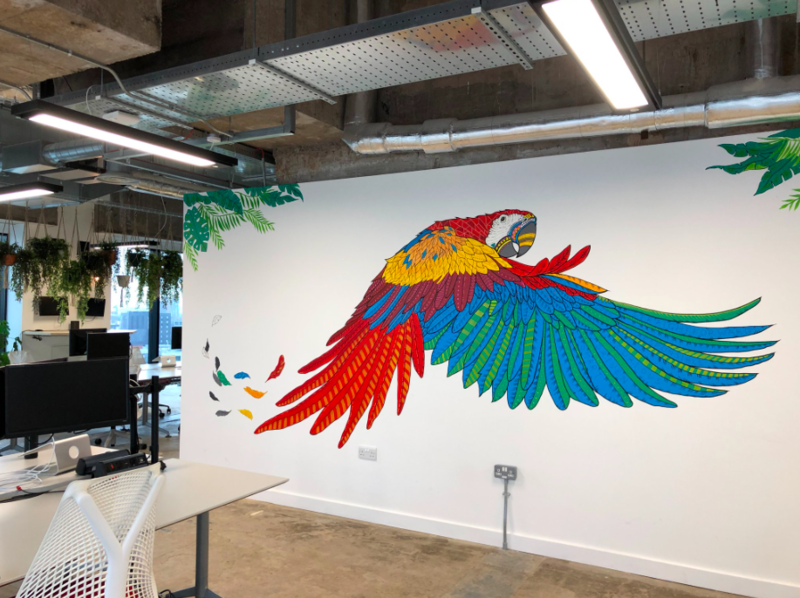 I’d like to take the opportunity to say a huge thank you to the incredibly talented artist Joanna Thomas Cain, who has helped bring our office to life in the most creative of ways. Peak has a colourful new team member - and we couldn’t be happier!